In the beginning of this section, we find that Dmitri has not only insulted his fiance, Katerina, but he has also insulted a certain captain named Snegiryov by dragging him out of an establishment with his whiskers. Snegiryov’s son, Ilyusha, bit Alexei’s finger to the bone in revenge, simply because Alexei was a Karamazov. When Katerina learned of the embarrassment Snegiryov endured at the hand of Dmitri, she sent Alexei off with two hundred roubles to try to comfort the family. But, there was no way that Snegiryov, destitute as he and his family was, could accept it; he ground the crisp bills into the dirt with the heel of his boot after displaying incredible longing for them and what they could provide. After this bit of plot, the rest of Part 2 consists mainly of thought-provoking ideas portrayed through Ivan as well as the elder, Zosimov. Ivan seems to be questioning everything. “That is rebellion,” Alyosha said softly, dropping his eyes. “There is a force that will endure everything,” said Ivan, this time with a cold smirk. When I compare this statement with Ivan’s, I find that the Karamazovs (in general) appear to refute Zosimov’s belief in Russia’s people. In fact, we are presented with this very disturbing fact in Part 2: if Fyodor Pavlovich should die, many people may benefit financially. Dmitri knows that his father has three thousand roubles sealed in a big envelope, tied with a ribbon and addressed to Grushenka (also known as Agrafena Alexandrovna). Like the very voice of Satan, here Smerdyakov plants the seeds of doubt and greed into Ivan’s mind. If his father was to die, the three sons would greatly benefit; miracle, faith, or salvation be damned. That scene with Snegiryov was so interesting to me, and seems to showcase a true 'Russian' of the type that the Elder loves, and that Ivan doesn't believe in. What a contrast between the two lengthy sections of philosophy that these two characters present in this section! I thought that Ivan would never shut up, and truthfully, I wasn't all that interested in what he said. I'd rather learn about a character by what he does than what he says, for the most part. Snegiryov interests me very much, as does his dear son Ilyusha…and the smarmy Smerdyakov. This is a bizarre connection, but I can't help thinking of Smeagol in Lord of the Rings when I think of Smerdyakov. Weird, huh? Ugh…this is the second part and I still can't get past the opening pages. It seems my heart and head just aren't in it which makes me sad when I read lines like the one you highlighted from The Grand Inquisitor (they are slaves though they were created rebels…how great is that). I will still be reading everyone's thoughts as they read along. Books PSmith, some of my favorite people are not lovers of Russian literature! I think it's a genre that appeals to you, basically, or doesn't. I personally enjoy the heaviness, if you want to call it that, the deep introspection, the dark moods, the chill of the antique rooms. But, then again, winter is my favorite season, so it stands to reason that I adore Russia. ;)I surely don't want anyone to read The Brothers Karamazov in pure torture; if it's not suiting you, I think the best thing to do would be to just read the thoughts participants post and save it for a better day. Part 2 was particularly oblique, and um, boring, so you really have to work through that bit to get to Part 3 which I found marvelous. Mixed feelings about those contrasting sections here in the second part. Seem to slow the reading of course but the interjections are so deliberately means by which the author speaks that they seem just a little awkward. Especially with Ivan's "poetry" which I found vaguely disturbing. Enjoying more than I imagined. Nearly finished.Still collecting my thoughts and will post later tomorrow. The teaching thing this week is very intense. Know you understand. Have you got a few hours to talk about the teaching this week?! My principal asked how it was going, after I addressed the PTA and Open House, but before I lead the staff development on writing today, and I said, "Is there any more stuff we can pile on this week?" Then, I realized I may sound bitter so I shut up, but really, it's a hectic time of year.I'm so looking forward to your thoughts, and I'm really happy you're enjoying it more than you thought. Me, too! Although, Part 2 was really almost annoying in its tediousness…I liked the action-packed suspense in Parts 3 and 4.I really hope you week smoothes out to calmer waters soon. Once you're done, try to guess when Dostoevksy knew who committed the murder. The answer is not "when he started writing the book." Amateur Reader, my guess is that Dostoeyvsky knew who committed the murder when Smerdyakov first told Dmitri who would benefit from the death of their father. (The very last quote in this post.) But, I still have to think about your questions, and I'm not quite finished with the book…I can't wait to talk when I am! And, I don't mean that Dmitri committed it! I can totally see books being written about that part. There is so much in this book, it's unbelievable. It's funny, too, how much things intertwine: teaching, life, fun. It always fascinates me how I can use what I read. I'm so far behind! I can't wait to read everyone's posts and the discussions, but I want to have actually read the stuff first. Hopefully I'll have some reading time tomorrow. I almost done with Part 1. There's so much to think about in this part! I'm coming over to read your thoughts which I couldn't before as I was teaching. Nancy, I love all your photographs, all your headers! This one is especially wonderful with the mood you captured…your kitty is laying exactly how I wish I was right now. Isn't it hard to find the time to read what we want to read?! I find it almost impossible! Come on summer! I finally got my post up just now. 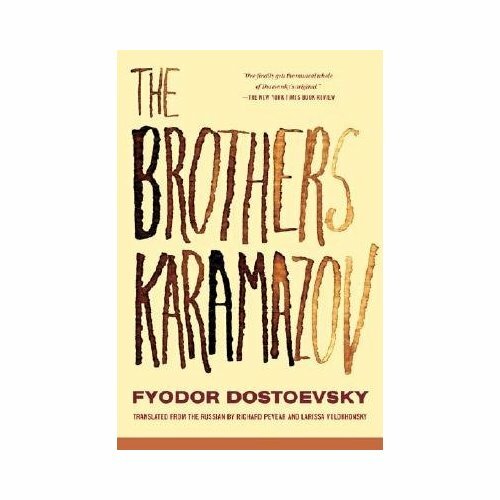 http://aliteraryodyssey.blogspot.com/2010/04/brothers-karamazov-part-2.htmlI found this part really hard to get through, so I hope in picks up in the next part! I didn't find Part II at all tedious. It's different; it's certainly not narrative; but all those deep thoughts take you deep into the characters, especially the character of Alyosha, lovable Alyosha. Yes, Ivan's tirade is disturbing, but we have Alyosha's reaction to guide us in what should be our own. Dostoevsky is shaping us to be readers of THIS story. Thanks for hosting, Bellezza! Julia, I love you how said, "We have Alyosha's reaction to guide us…" Indeed! Isn't he the most wonderful character next to Zosimov? I'm so glad you're reading this with me!